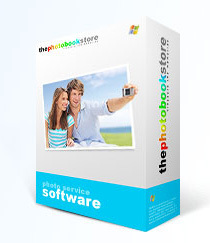 To get started creating great photo books, canvas prints and calendars, download our FREE Photobook Software below. Choose from a wide range of backgrounds, clip arts, fonts and colours providing you with greater creativity, faster picture transfer and the very latest picture editor as you create your photo books, canvases and calendars. The Download will automatically detect you as a Windows or MAC user and download the appropriate program. Please note, your software download will open in a different browser window.